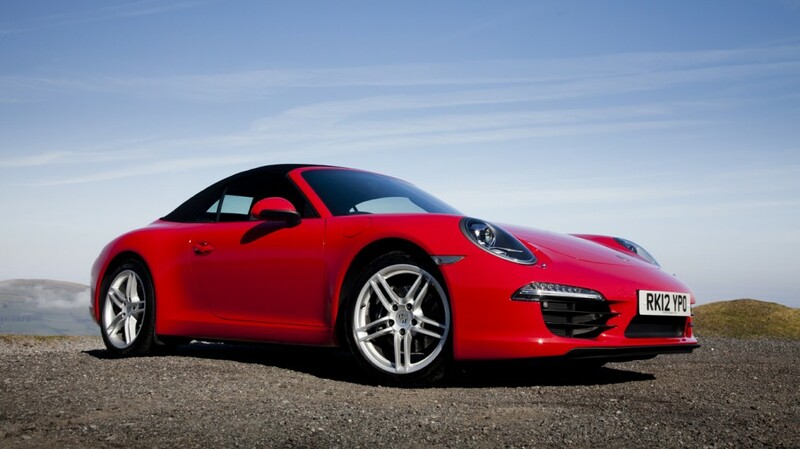 At lease seven days in a great sports car is better than none and we can tell you, the 911 Cabriolet is a great car in every respect. It’s a super car you can use on a daily basis. Trundle around town in a low gear, storm off at the traffic lights or blast around country A-roads in four-wheel drive heaven, the 911 does the lot. Negatives? Slightly tricky cupholders, an awkward gate to the seventh gear and poor over the shoulder visibility. 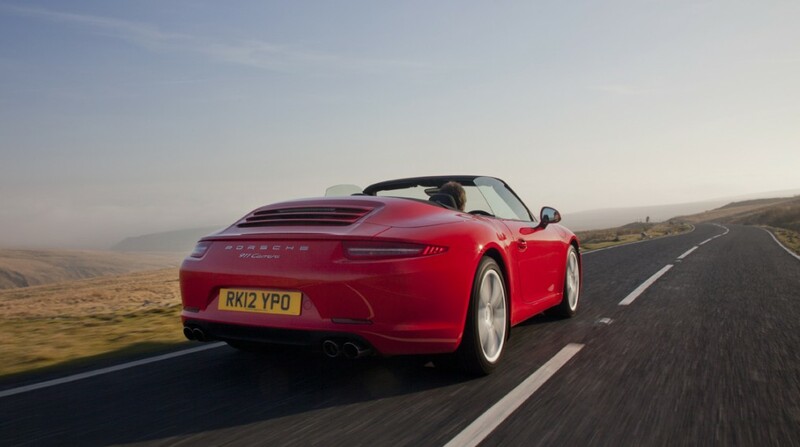 Here are a few random reasons why the 911 Cabriolet is the best soft-top on the market. First, when you open the door after a rainstorm, the water doesn’t drip in to the cabin. Does your car do that? Second, if it rains when the top is down, provided you don’t come to a grinding stop, you will stay dry. Such are the aerodynamics of this car. Thirdly, there is a second sat nav screen that pops up in the instrument binnacle when you come to a navigation instruction. So, you have an overall map in the main dashboard that affords a general view – then the second explains graphically where you need to turn. And finally, the wind deflector really is a work of art. Instead of manually pulling a deflector out of the boot and fighting to install it at the roadside, this one works beautifully. The frame pops up automatically, then the fabric material stretches over it. It’s been a long wait but the sun has finally got his hat on over the Cotswolds today – perfect weather for woolly chapeau and a Porsche 911 Cabriolet. And I actually have to drive to Banbury for a reason, so I don’t feel bad about leaving the office and ‘making progress’ in the Porsche. I believe the sign of a great cabriolet is when it looks as good with the top up and is does down. With the Porsche it’s the other way around. 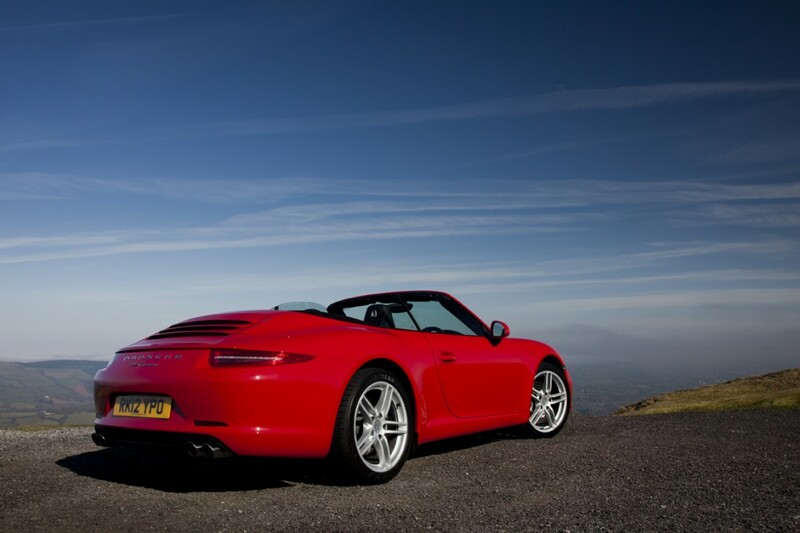 The 911 is sensational roof on – and just exquisite with it tuck away under the automatic tonneau cover. Saturday – Magnesium Sandwich Anybody? 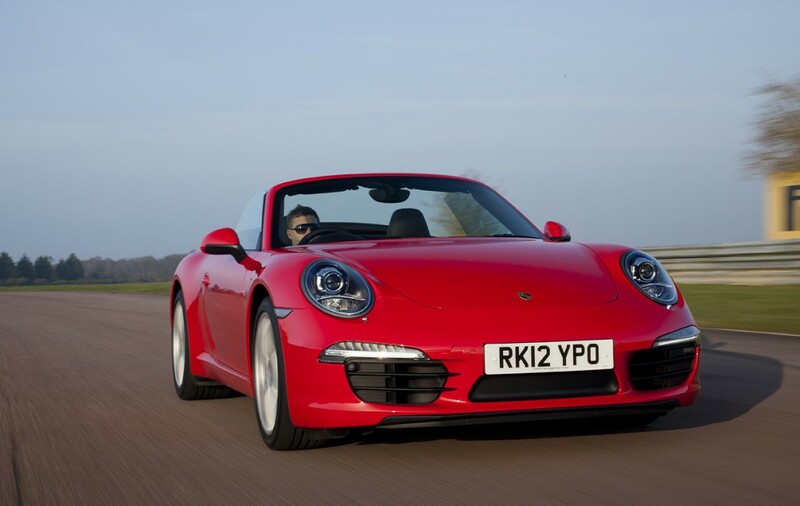 That’s right – every 911 Cabriolet comes with a magnesium sandwich as standard. You won’t find it in the glovebox but in the roof. One of the reasons why it’s so easy to forget this is a convertible not a coupe is down to the design of the electric hood. Design in a 911 Cabriolet has always been incredible but this latest model takes it to new levels. Sandwiched between the fabric components of the roof is a layer of magnesium, which forms a coupe-style hard top when it is in place. The result is minimal road noise but just enough to let you and your passenger enjoy the rasp from the 3.4-litre engine behind you. It’s nothing short of remarkable – although I’d dread to think what it costs to replace! Friday – Look At Me! 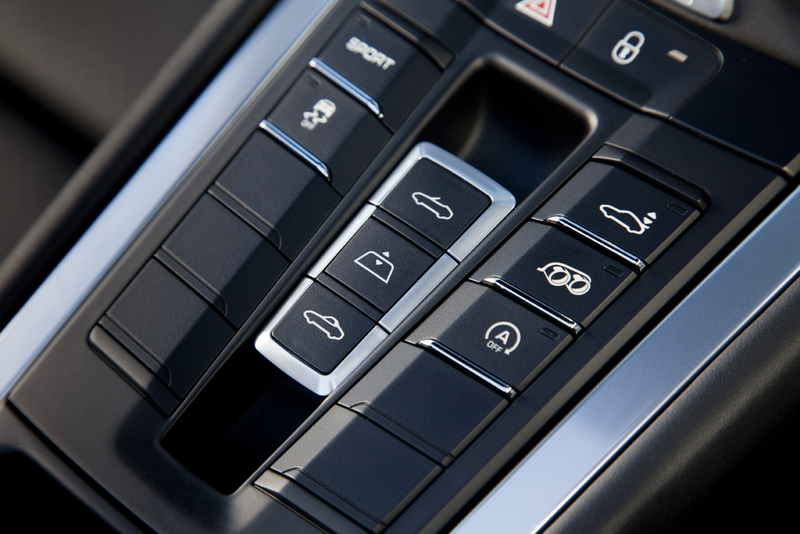 Just in case a 911 Cabriolet isn’t enough to get you noticed, Porsche has thoughtfully added the ‘Extrovert Button’. It’s right next to the gearstick and a quick press is guaranteed to turn every head in a 100 yard radius. The sports exhaust system improves the car’s exhaust note by opening a flap in each of the twin exhaust system’s silencers. It turns the Cabriolet into a snarling beast – although why it’s not a standard feature on the latest 911 is rather surprising. Shy, retiring types are unlikely to be driving a Porsche in the first place but having just returned from the Bath, I can tell you the 911 wouldn’t have been more conspicuous if I had Kate Moss siting naked next to me. This latest version of the Cabriolet is around 60kg lighter than the old one and with a more powerful engine under the boot lid, it’s very fast indeed. Thursday – Last Throws of Summer? Jessica and I have been discussing the Cascada a lot this week. It would be easy to just compare the Vauxhall to premium brand cabriolets from the likes of BMW and Audi. 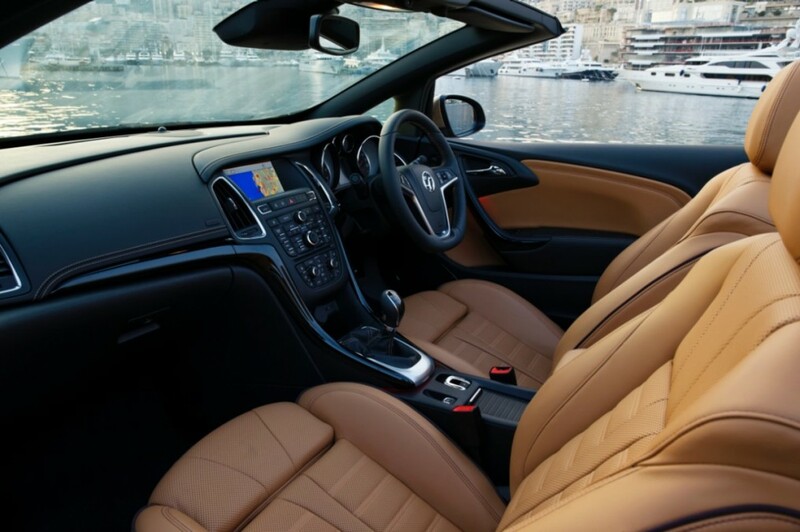 However, at £24,000, the Cascada is a much cheaper alternative and for the money, it does provide comfortable soft-top motoring for four people. We have been blessed with great weather over the last seven days but in the depths of winter, I wonder if the Cascada would prove to be equally as likeable? I suspect not. 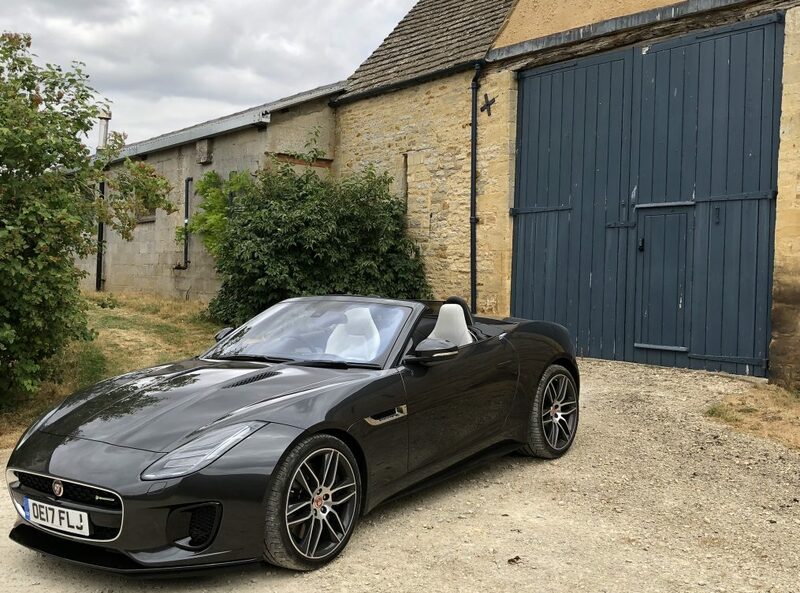 If you are an ‘enthusiastic’ driver, then there is no doubt you should be looking to spend your wages elsewhere because the 1.4 engine and notchy gearbox are disappointing. It’s sadly a poor relation to the VW Golf Cabriolet but the Cascada should be on your test drive list if you are already looking at cars like the Peugeot 308 CC, or the Renault Megane C-C.
Jeremy Even if the Cascada doesn’t lure you to a Vauxhall dealer, you can’t help but be impressed by the folding mechanism of the roof. Bank Holidays can be a mixed bag of weather but today we were able to enjoy the last throws of the summer with the wind in our hair. The roof lowers quickly, without the need to undo any catches and folds neatly into a large slice of your boot space. Never mind. Our 1.4 test car doesn’t have one of those annoying wind deflectors that take up all of the back seat when in place. Instead, the aerodynamics are slippery enough to direct the wind well away from the cabin area, even at motorway speed. It’s a hairdryer job if you are sat in the back but up front, the Cascada is very refined, especially with all four windows up. Your summer hat should stay in place and you can even hear the sound system.